The 2015 Suzuki Alto Kei car for the Japanese Domestic Market was recently revealed through a set of images. 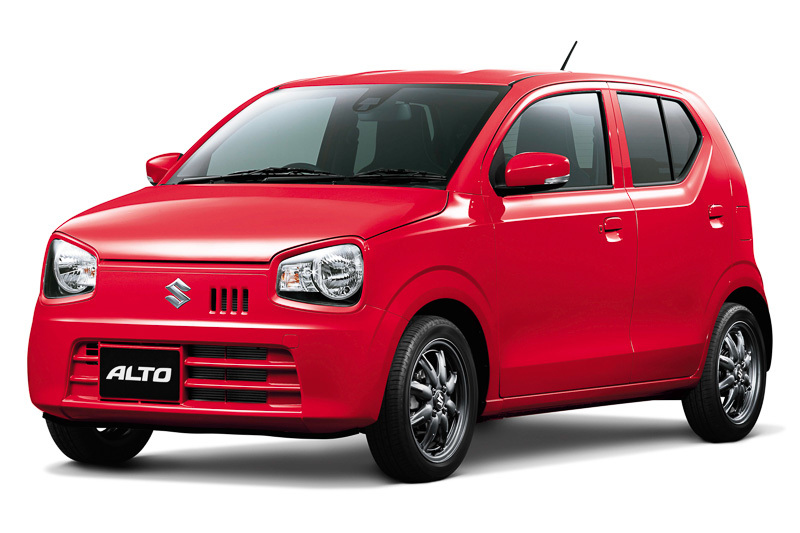 The JDM Suzuki Alto 2015 will go on sale in Japan on December 22. For the latest generation Alto, the Japanese carmaker has decided to adopt a retro look. The new city car gets chunky headlamps and old fashioned slits instead of a conventional front grille. When seen in profile, the design is slightly reminiscent of the AStar, especially towards the C pillar. At the rear, the car has got particularly understated looks. The highlight here are the bumper mounted combination lamps. On the inside, the retro design continues and the car gets a simplistic dashboard that should be high on functionality. 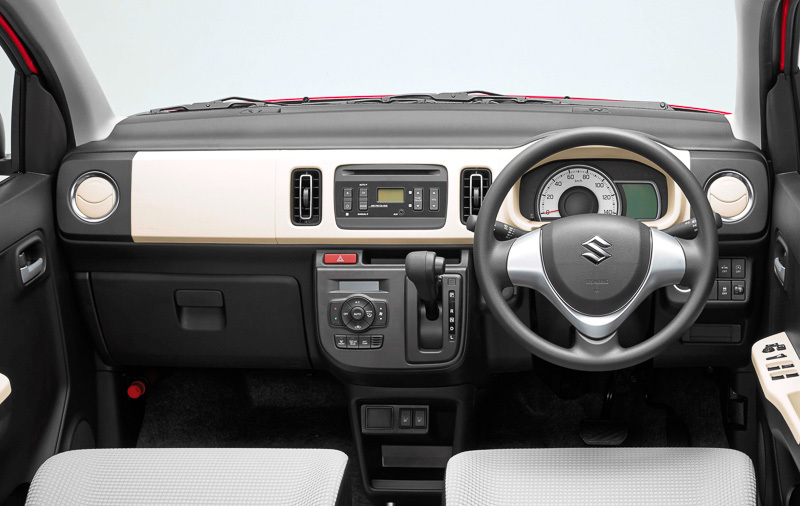 The new city car offers adequate space for four passengers and as can be seen in the above image, it makes use of features such as a dashboard mounted gearshift to free up space. The speedo console comes with analogue dial and a multi-information display. Powering this model is Suzuki’s 660cc three pot petrol engine that will be available both in normally aspirated and turbocharged versions. The engines will come mated to a five speed manual transmission that will send power to front or all four wheels, depending on the variant. A CVT option will be also provided to the buyers. Also in the pipeline is a Turbo RS variant that could go on sale a couple of months after this model’s launch. Maruti Suzuki has no plans of launching the new Suzuki Alto 2015 in India. Top 3 Entry level Cars You Can Buy This Diwali. Why is Maruti…..well a MARUTI?